Last year I read a book by Shonda Rhimes entitled "Year of Yes". Whilst the general premise is learning how to say yes to yourself and to possibilities, the part which really stood out to me was learning to say no. The idea that "no" is a complete sentence, no explanation required, felt radical. That saying no to someone else can mean saying yes to yourself. Learning to tell the subtle difference between an opportunity, and an opportunity which will benefit you is difficult. We can be blinded by a fear of missing out, the status of the person offering, and the flattery of being asked. Perhaps the opportunity is something a lot of other people would kill for, something society says we're supposed to want, it's similar to the opportunity we do want or we're just scared no one else will ask. Then again, sometimes you'll be offered opportunities which feel insulting. When someone proudly proposes a fee you find laughable, an ethically flawed project, or a deal you'd have to be a fool to agree on it can feel demeaning. If you're anything like me, you've accepted offers you should have said no to. You've made miracles happen on a tiny budget, turned other people's disaster-bound ideas in to a success, and watched them bathe in the glory of your hard work and talent. It doesn't feel great. Yet many of us find it difficult to go from the person who is being offered opportunities to the person who is doing the offering. To see the potential other people see in us and realise what we could turn it in to. If someone has asked you to write a book that's great. Perhaps you should shop around for an agent who can get you the best deal and the most freedom, perhaps it's a multi-book deal, perhaps it will lead to TED Talk or a radio or TV show. If producers keep asking you to sing and write on their tracks, perhaps you should aim really high when looking for your own dream collaborators and record labels. If someone has asked you to curate a stage at their festival, perhaps you should ask for a bigger budget, or ask them to help you start your own festival in the future. If someone keeps asking you for advice about a specific topic, perhaps you should write a book, present a podcast or start a consultancy firm. If record labels or publishers are interested in signing you, perhaps you should keep building your leverage and fan base until you don't really need them before starting negotiations, and consider other investors in order to retain your independence and rights. If people keep asking for your help producing or promoting their events, perhaps you should start your own events promotion company. It's so easy to hold on for dear life to the opportunity in front of us, without realising we're wasting time we could be spending finding or creating a better opportunity. Sometimes, a bird in the hand is costing you the two in the bush. 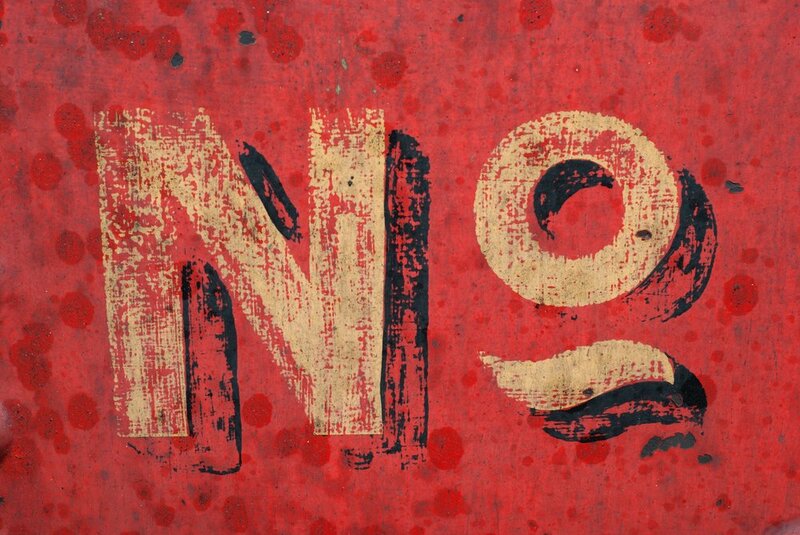 Say "no" (or "no thank you" if you're feeling polite) to offers that; don't benefit you long term, that get in the way of your goals, that don't reflect who you are or what you want to do, that don't pay enough for the precious time you could spend on something else, that don't lead to more opportunities, that don't match up to your standards, or that you don't enjoy. Consider making this your "Year Of No". Is It You, Or Your Strategy?